Dissolve one portion of the product (6 g) in 150-250 ml of water or juice. Use one portion ca. 20 minutes before workout. Using citrulline malate around training will bring most benefits related to endurance and muscle regeneration. 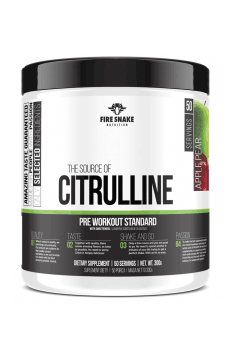 Citrulline may be combined with the supplementation of L-arginine. These compounds demonstrate synergism of effects in increasing the synthesis of nitric oxide, which is reflected in the larger effect of muscle pump.